Both Rich Penn and his wife Sharon have been active antique lovers all their lives together. While in college, they collected, bought and sold antiques to help earn college expenses. That's when they started to collect country store, advertising and coin-operated machines. They spent most of their free time as a team together going to antique shows and auctions. The Penn's have a true passion for the merchandise they take to auction. They were researching and studying these pieces long before there were books or websites to search. 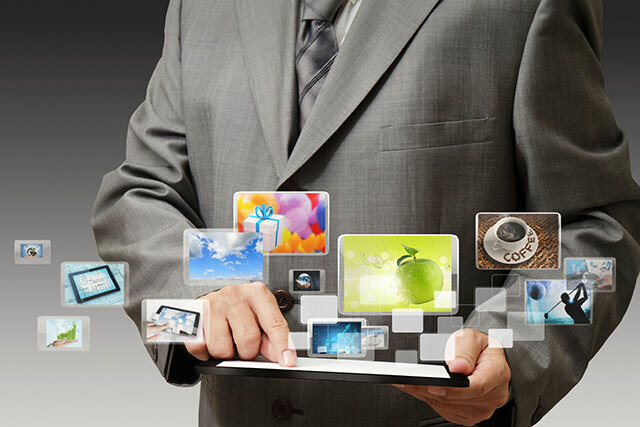 They became the experts that gathered the information and brought much of the current knowledge into the marketplace. That marketplace is where their expertise differentiates Rich Penn Auctions from the rest. No one has studied, researched and written more about these country store items than Rich Penn. As a result, Rich Penn Auctions has built what could be the industry's richest database of serious collectors of these items. That list, in the many thousands, is targeted with marketing material for every auction. And the Penns know the importance of marketing. Rich's interest in marketing began early in his college career and was a natural parallel to his interest in country store antiques. One of his first term papers dealt with trade advertising for Patent Medicines. That interest evolved into more than just the advertising. It broadened into a true passion to learn more about all the elements of store merchandising and display. That interest was the beginning of research that was used in several books he later authored. Rich was always a believer in national marketing. 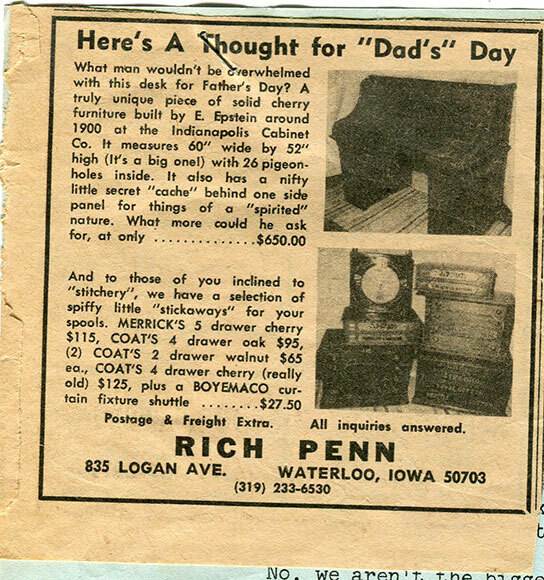 Even as early as 1970, while still in college, Rich was a display advertiser in the Antique Trader, selling spool cabinets and other country store pieces. 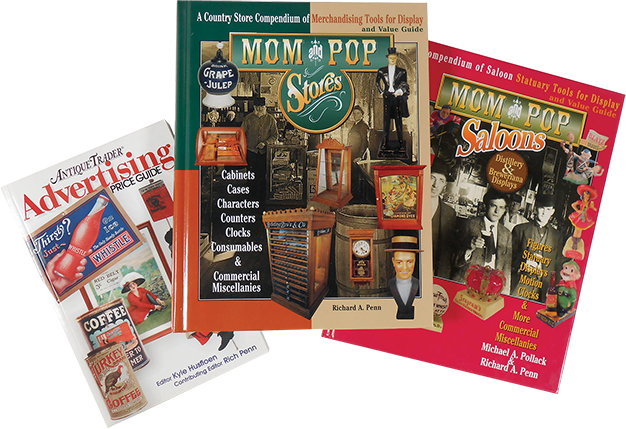 Marketing to a broad national audience today, Rich Penn Auctions is still a regular user of many of the national, regional and local antique publications. Rich and Sharon both studied at the University of Northern Iowa. Rich earned his BA in Marketing and Business Management and continued on to complete his MSJ in Advertising from Northwestern's prestigious Medill School of Journalism. Sharon earned her degree in Education. Both were on track toward successful careers. Rich went into marketing and was then hired by the Chicago office of J. Walter Thompson, the world's largest advertising agency. As an account manager, and later a Vice President, he helped plan and manage the national advertising campaigns for a who's who of major US corporations. One of those was "The Great American Homes" campaign for Sears paint. That campaign involved the painting of historic homes across America and was one of Sears' most successful ad campaigns ever and won many national and international awards. Sharon was hired by John Deere while waiting for a teaching job. That brief wait took her on a 30 year career adventure with Deere & Co. Her experience in manufacturing management honed her skills as an effective organizer and planner. Both attributes have been essential in planning and executing complicated auction events. Having worked as a marketing consultant for auction companies for over 15 years, it was a natural for the Penns to start their own auction company. Their first auction was in 2000. That was the beginning of a successful auction business that has now helped clients market millions of dollars worth of their antiques. 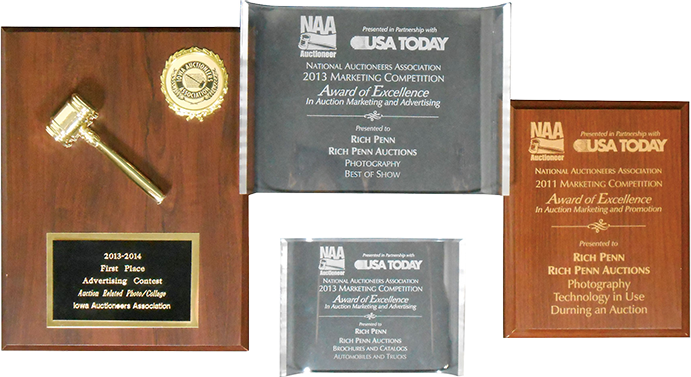 For thirty years, Rich's marketing campaigns have not only generated business successes, they've won many national, regional and local awards. 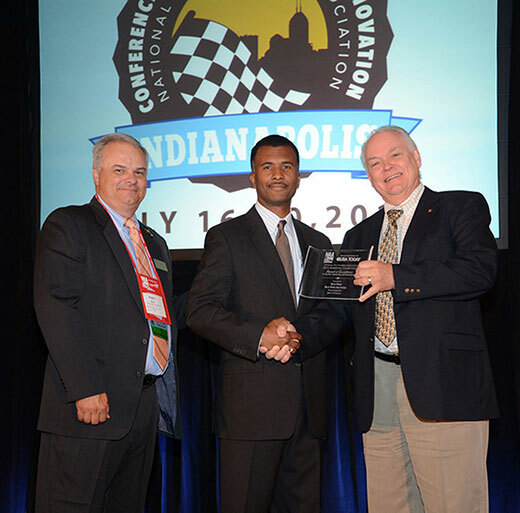 Those awards include recent first place marketing awards for auction advertising, catalogs, publicity and web site, from both the National Auctioneers Association and the Iowa Auctioneers Association. As an educator for nearly ten years, Rich taught those same marketing skills to thousands of business students at the University of Northern Iowa. Many of those students went on to achieve excellence in their own fields and hold successful leadership positions in business today. Some still contact Rich for his thoughts and advice on current marketing issues. As a volunteer, Rich has been an involved board member and board chair for many local organizations. Among them are The Marketing and Advertising Club of Northeast Iowa, Goodwill Industries, Friends of Hospice, Silos & Smokestacks National Heritage Area, Quakerdale and others. Rich and Sharon also stay abreast of interests in many collector organizations. 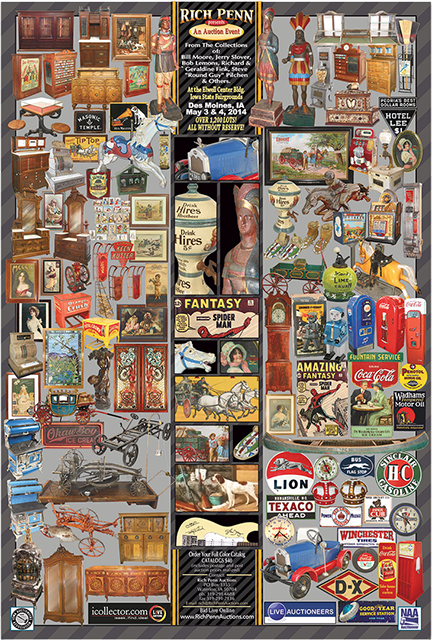 Among them: The Antique Advertising Association of America, Coin Operated Collector's Association, American Breweriana Association, Coca-Cola Collectors and Red Wing Collectors. Excellence means involvement. Being an involved leader means staying on the cutting edge. Rich Penn Auctions has been among the pioneers in using digital photography and print production technology as well as the latest strategies in fully integrated marketing programs. 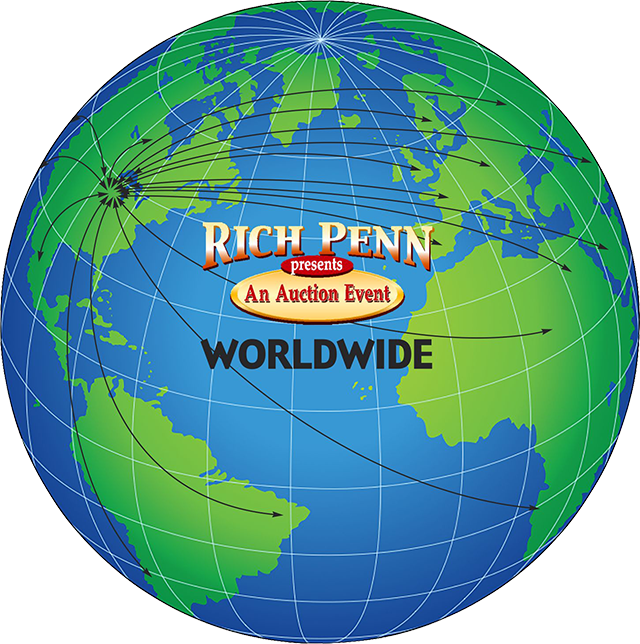 Using that technology and the internet as an auction delivery medium and marketing tool, Rich Penn Auctions was one of the first companies to enter the live online auction businesses. And now they're at the front of the pack pioneering the integration of live auction streaming video and the use of television marketing. What really matters to a client is the auction results. Time and time again, Rich Penn Auctions has brought record results to clients. Those results are a function of world class integrated marketing programs and a dedication to presenting a clients merchandise in the high value manner it deserves. That combination brings large numbers of bidders to the auction. It's not uncommon for 500 bidders to be bidding onsite, absentee and on the phone. Add to that an online audience of 2,000-3,000 bidders from over 20-30 countries across the planet and you can begin to understand the record results. Unlike other auction companies, RPA limits auctions to just two or three per year. That allows the necessary time to make sure the publicity, direct marketing and advertising have built the market awareness. In addition, that allows time to have the entire auction on the internet at least 45-60 days prior to the actual auction. Those unequaled lead times maximize the potential for participation from a truly worldwide bidding audience. So if you believe your collection, or even one important piece, deserves the passion, experience, excellence and results of a proven auction team, contact Rich Penn Auctions. You'll find the best auction partner to help you identify your personal goals and then work with you to build the auction plan that achieves those goals. About Rich Penn Auctions from Bus-Stop Productions on Vimeo.